As part of the initiative, BMW India will be offering up to 365 engine and transmission modules to colleges across India to help students learn technical details with practical insights. On March 29, BMW India announced the commencement of the Skill Next programme. As part of its latest CSR initiative announced on the 11th anniversary of its plant in Chennai, BMW Group India will provide 365 engines and transmissions to engineering and technical colleges all over India. The engine-transmission modules will be given out on a first-serve basis, and will be delivered to campuses by the end of 2018. 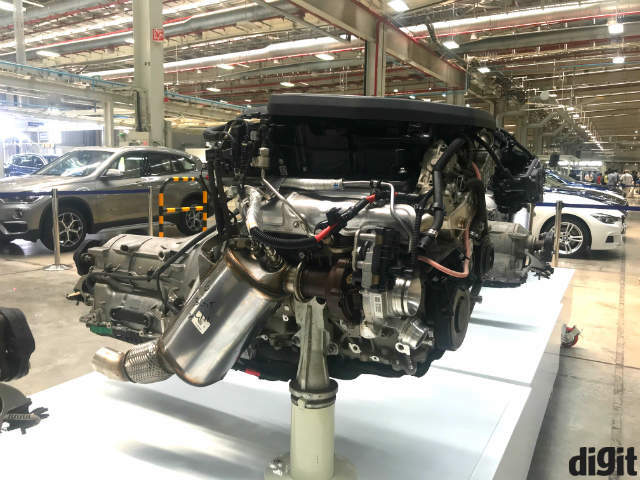 The engines in question are BMW's most popular engine in India - the 2-litre, 4-cylinder diesel engine that powers a bunch of BMW's cars in India, and the transmission is the company's eight-speed Steptronic automatic transmission unit. Speaking to Digit on if this move may contribute to BMW India's own recruitment of specialised talent and thereby add to the company's localisation plans for the country, Vikram Pawah, President, BMW Group India said, "Skill Next is purely aimed at something non-commercial, and aims to skill up India to the next level. When I look at the engineering and technical colleges in India, I clearly see a gap between what technology is there in the world, and what they are actually learning. So when this opportunity came up to offer the engines and transmissions and we worked with our insurance partners, we thought why not offer these to students in engineering colleges where they can learn from the latest technologies. That way their skills will be enhanced, and they can make India more skillful in the long run. This move, hence, has got nothing to do with our localisation plans." To help professors at applying institutes get a clear grasp of the mechanics and technology used in BMW's engines and transmissions, the company will also host a 'Train the trainer' programme across 20 cities in India. With this programme, the company will provide classroom sessions and practical experiences for the institutes, guided by BMW's own technicians. Applications for BMW's Skill Next programme are now open. Which is the best laptop for an aerospace engineering students? How to develop responsive Websites? Does anybody know how to develop Blackberry apps ?